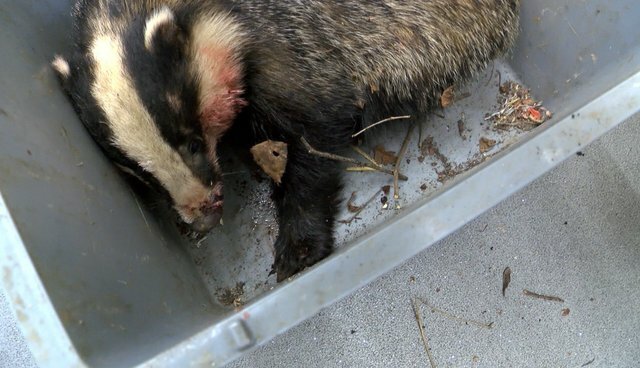 Earlier this year, a lady brought in an adult male badger in an open box, in the back of her car - not recommended! Probably victim of a road traffic accident, he had a big gash on his lower jaw. The jaw was intact so Jono, our vet, just had to stitch him up, and he did it beautifully! After a few weeks of treatment and recovery, the badger was happily released to where he was from!